The TVAddons Kodi repository is having its day in court and mounting a staunch defence of its activities by denying copyright infringement. The case against the TVAddons repository has been brought by the Dish Network, a US-based satellite and cable TV broadcaster. They claim that both the TVAddons repository and the ZemTV addon are guilty of multiple counts of copyright infringement. 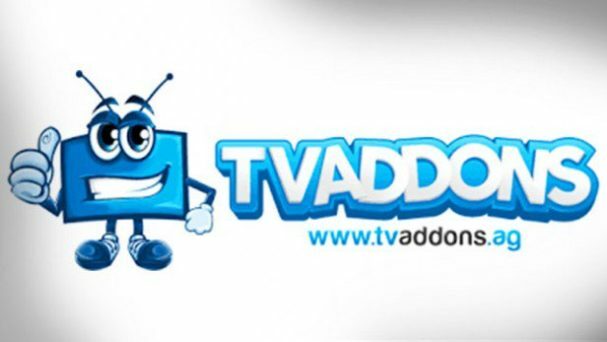 They are claiming damages of up to US$150,000 per infringement from the ZemTV developer Shahjahan Durrani and statutory damages from TVAddons which carried the ZemTV addon in its repository. Both of the accused parties tried and failed to have the case thrown out on the basis that they were not resident in the USA. But these legal efforts failed, so both parties are now required to respond to the allegations in court. Late last week, Adam Lackman, the owner and operator of TVAddons submitted his responses to the charges. He confirmed that ZemTV was available through the TVAddons repository and that he did receive a takedown notice from the Dish Network. He claims to have forwarded this onto the developer of ZemTV. He strongly denied claims from the Dish Network lawyers that he had the “ability to supervise and control” the developer of ZemTV. That claim seems to fundamentally misunderstand the relationship between addon developers and the repository that hosts them. Dish has also suggested that Lackman enjoyed ‘direct financial benefits’ from ZemTV and that he failed to take any action to stop their activity. Again, both suggest a lack of basic comprehension about how unofficial Kodi addons operate. Lackman is clearly not going to take this case lying down and appears to have hired some pretty astute lawyers to take on the Dish Network. And they have made a strong case that TVAddons is not guilty of intentional copyright infringement. Among the defences put forward is the fact that the accusation that TVAddons is guilty of “contributory / inducing copyright infringement” is conflating separate claims with have to be made separately to the court. They have also highlighted that the Dish Network has not registered the copyrighted works in question. This is important because it means that, although they still have the right to bring this case, they are not permitted to claim damages or costs. It is still very early in the case, but this final point could be fundamental to the continuation of TVAddons as a going concern. Their repository is still available, after going offline temporarily last year. It has now shed the majority of its formal unofficial addons and is trying to reposition itself as a home for unofficial, but legal, addons. It has picked up a pretty impressive following, after being suspected as a front for copyright lawyers. Far from that, TVAddons now appears to be shining a light for unofficial addons everywhere by taking on this case and fighting the overzealous use of copyright legislation by big media corporation which has seen countless unofficial addons taken down over recent months. It is also likely to be a litmus test for the future of many Kodi developers and the addons they have lovingly created. If ZemTV and TVAddons lose the case and are subject to significant financial penalties, it sets a crucial precedent. The result is likely to be a flood of similar cases being brought against all sorts of developers and the quick demise of many popular addons, whether they actually do facilitate copyright infringement or not. There could also be a knock-on effect for Kodi users as well. Once a precedent is laid down, there is nothing to stop copyright lawyers from pursuing individuals who have been streaming copyrighted content as well as developers who have been enabling them too. For that reason, there has never been a more important time for Kodi users to be using a VPN to protect themselves when they are steaming. No matter what you are watching, a VPN makes it far harder to directly link your online streaming activities to you. It, therefore, offers a safety net against possible future legal consequences. So, if you are a Kodi user, be sure to read our Best VPN for Kodi 2018 article and ensure that you are using a VPN to protect yourself from the potential risks of streaming on Kodi, both now and in the future.